Why 5X7.25 Magnets are Always Tempting than a Fresh Cinnabon Roll? Cinnabon rolls always smell fresh cinnamon and they vet appetite with their yummy taste. However, a customized 5×7.25 magnet attracts with its large working space. Unlike the tasty cinnamon rolls, investors can use the canvas for printing information in the style they want. It may sound like customizing a Cinnabon to your taste senses without incurring additional charges. Most online magnet stores stocking only made in USA refrigerator and car magnets offer benefits of free customization (including online design proof, art setup, and full color printing) and free shipping. Cinnabon rolls are tempting, but a bit expensive, if you consider them for everyday snacking. However, 7.25 x 5 magnets would appeal everyday without burning holes in the pocket of an investor. This means marketers can employ these customized magnets for value building each day without worrying about escalating their marketing costs. 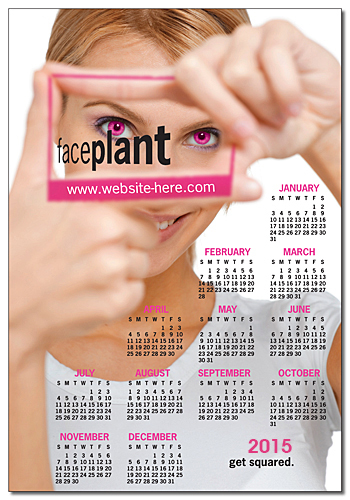 Perfect for tempting and visually sumptuous menu magnets, calendar magnets and more! You cannot do much about cinnamon rolls rather than resorting to what the baker has to offer you. However, you can always be at the creative best, while working with customized 5×7.25 magnets. It allows you to get creative and tempting at the same time. You can experiment positioning various marketing contents over them. Most reputed online stores stocking made in USA magnets may allow you to get creative to the core. They assist you from the scratch to come up with designs, which would stick forever in the mind of your customers and loved ones. You can easily select from different stock sizes offered. 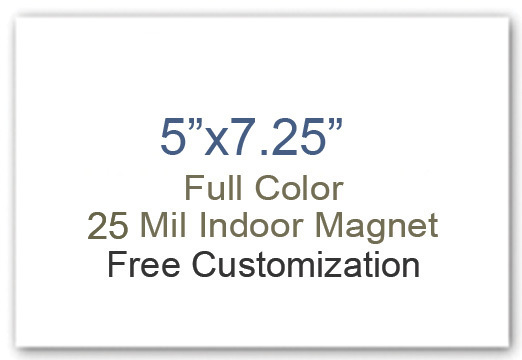 Generally, you find custom magnets of this dimension only at made in USA magnet eCommerce stores, which stock them in 20 MIL, 25 MIL, and 30 MIL, thereby allowing you to make the best investment of your life. Customized 5 x7. 25 magnets may enhance the mood of an onlooker with their information. Nowadays, people cannot afford the luxury of attention gig nights or entertaining events due to various social and work pressures. However, they can easily relieve their senses by looking at personalized magnets 7.25 x 5 printed with brand information or personal information. You can avail great profits on bulk purchasing customized magnets from a reputed online store, whereas you may not have great savings on bulk purchasing Cinnabon rolls because they are sold at company fixed price. The above-mentioned are only few comparisons to prove that large 5x 7.25 magnets are tempting than fresh Cinnabon balls. You can easily figure out many other benefits by working with them.